Imagine that you’ve never left your home village, that you speak only your native language, and that you suddenly find yourself traveling over 8,300 kilometres across the globe. For Yuden Pem this became a reality. She travelled from her village in the Haa district of Bhutan to Tromsø, a town in the northern part of Norway. 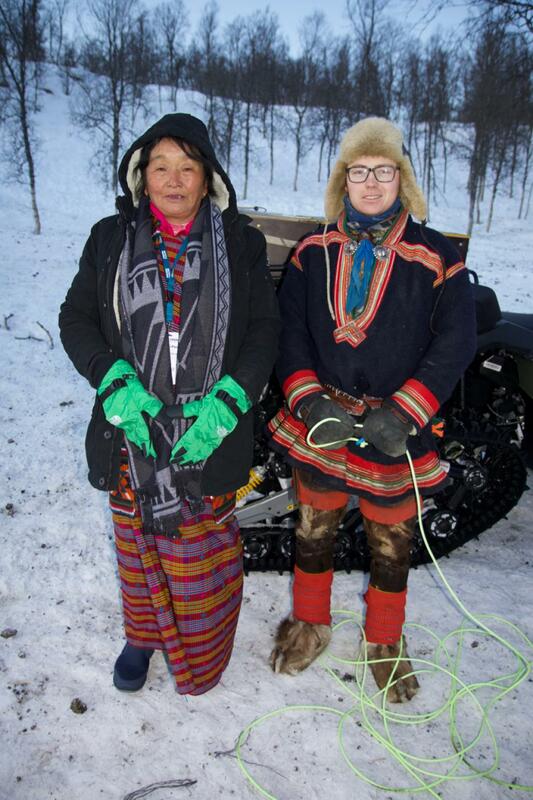 Together with two other yak herders from the Hindu Kush Himalaya (HKH) region, she came to explore the potential of cross regional cooperation with representatives from the Arctic reindeer community. Reindeer herders and yak herders can be found at the highest latitudes and altitudes on the earth. Their communities are the home of valuable natural resources and precious biodiversity and the location of vast areas of snow and ice, reserves of water that are vanishing with climate change. Although living continents apart in vastly different regions, both communities are experiencing changes in their livelihoods due to climate change, globalization and socioeconomic changes. Thus, there was a motivation for the herders to come together to explore commonalities and linkages, and to see if, through their deepened understanding of one another and through cooperation, they might be better equipped to address the challenges they are facing. 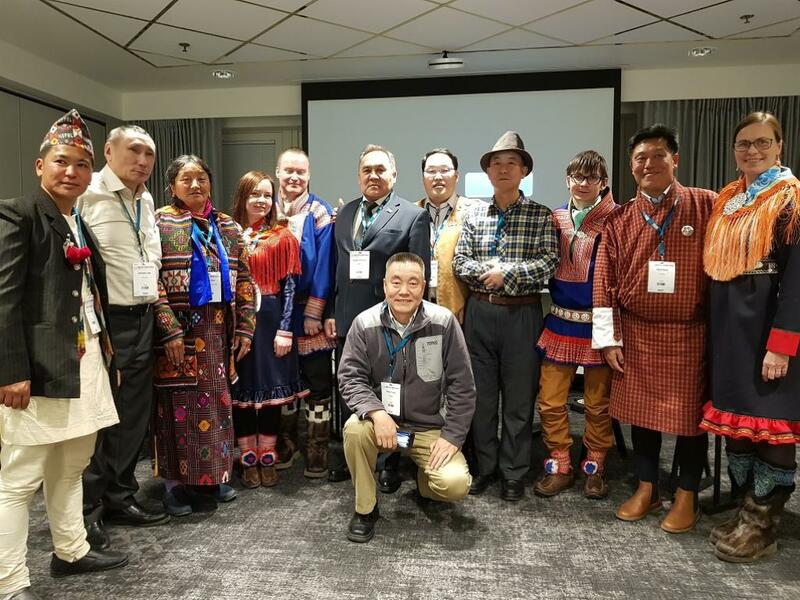 Dialogue between the yak and reindeer herders took place at the Arctic Frontiers in Tromsø at the end of January 2018. The conference offers an international platform for cooperation and sustainable development in the Arctic, bringing together representatives from government, academia and business. For the past few years, institutions and individuals from the HKH have been involved in cooperative activities and in exploring commonalities with institutions and individuals in the Arctic. A growing Himalayan University Consortium brings together many universities from the HKH, and is also connected with the University of the Arctic. In developing the Himalayan Monitoring and Assessment Programme (HIMAP), advice was drawn from the Arctic Monitoring and Assessment Programme. And there is ample scope for scientific collaboration. The eight countries of the Arctic have benefitted from an Arctic Council. At the Arctic Frontiers, the sharing of lessons learned from the Arctic experience helped representatives from the HKH to see if those lessons could be applied to the Himalayas. Perhaps the time is right for something like a Himalayan Council to emerge. Despite the fact that the herders did not speak a common language, the aim of the session was to create a dialogue and to build bridges across communities dealing with uncertain futures. The session was organised jointly by the International Centre for Integrated Mountain Development (ICIMOD), the International Centre for Reindeer Husbandry (ICR), the UARCTIC EALAT Institute and GRID-Arendal. Together with Yuden Pem, Shilp Kumar Rai from Nepal and Changlin Xu from the Tibetan Autonomous Region in China represented the Himalayan yak herders. 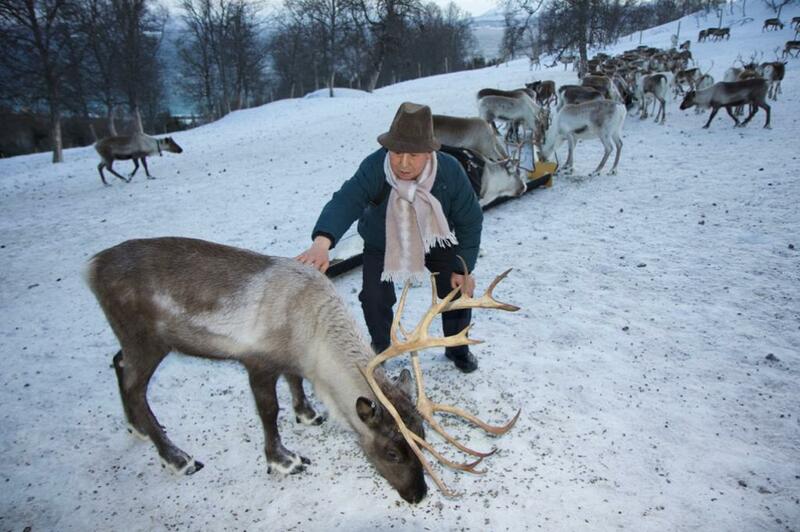 The reindeer community was represented by Rávdná Biret Márjá from Norway, and Sergey Kharuchi plus Mikhail Pogodaev from Russia. One of the common issues experienced by all the herders was the loss of grazing land. Reasons differed, but the redistribution of land for industrial reasons or for conservation, the establishment of national parks, and the impacts of climate change were the most prominent. A common challenge shared by the herders was the declining involvement of young people in this traditional livelihood option. Within both the reindeer and yak herding communities, herding skills and knowledge have been handed down through generations, and the traditional way of life is very much a part of their identities. Now, however, globalization and urbanization provide new opportunities, and the younger generation choose to find different paths not related to traditional pastoralism. Another issue raised by the herders was the difficulty in marketing their products. Reindeer meat is expensive compared to other types of meat, and market competition is much tougher now than before, resulting in the herders having to sell more meat to generate the same income. The yak herders also noted that many of their traditional products, especially those made from yak milk, are losing their popularity. Climate change was a recurring theme throughout the session and all the herders underlined that it was impacting the stability of their livelihoods. Indeed, at the forefront of climate change challenges are the pastoralists at high latitude and high elevation. In the rangelands of the high north and high mountains, temperatures are rising faster than the worlds averages, the natural dynamics of ecosystems are changing and so too the grazing lands of yaks and reindeers. Although located in different parts of the world, it was an issue about which all herders felt strongly. The commonalities were striking, but clear differences between the situations of Arctic-based reindeer herders and HKH-based yak herders are also there. Industrialization has reduced the area available for the Arctic-based reindeer herders in many places, but it is a lack of industrial development that is an issue for the HKH-based yak herders. Because yaks only live in high altitudes, herding communities often reside in remote and inaccessible areas which lack basic infrastructure like roads and electricity. Despite the lack of a common language the Arctic Frontiers session provided a valuable platform for dialogue between herding communities. There was mutual agreement among the herders that knowledge exchange and the sharing of experiences and concerns was highly valuable. The session not only made clear the idea that climate change knows no borders and that it is a problem affecting communities worldwide, but also it highlighted that there are many similarities in the ways people in very different places are affected. Facilitating connections between indigenous communities helps to amplify voices from the mountains. We found at the meeting that yak herders and reindeer herders, despite living worlds apart, easily connected with each other. Perhaps their combined wisdom and voice will both help in finding solutions and in voicing concerns to the global community, where action around climate change is moving far too slowly to make a dent in temperature rise.